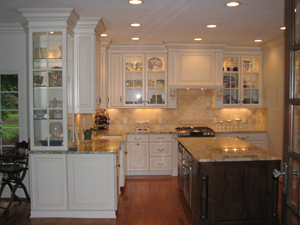 Due to their importance in everyday life, Modern society places a high value on the quality and efficiency of kitchens. A well-designed cooking and dining area can inspire you to spend more time preparing meals and be a motivating factor for entertaining family and friends. Plus as any real estate agent will tell you, kitchens are the number one driving factor for resale value. Therefore, choosing to have a kitchen renovation done is a wise choice. At Solid Builders our goal when completing a kitchen renovation is to make it as economical, practical, and aesthetically pleasing as possible while incorporating your ideas with our expertise. Whether it�s an entire kitchen renovation or simply making some minor updates, our experience and know how we will help you make the right decisions. 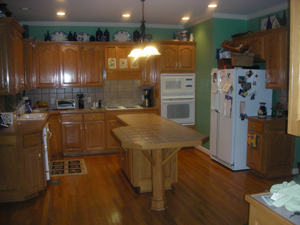 We can save you money and time with our creative ideas for giving your kitchen an update. In some cases a full kitchen renovation is not necessary and we can make a huge home improvement through simple replacement of hardware, refacing your cabinet doors, making a couple minor cabinet layout changes or through other creative cost effective ideas. As a locally owned and operated construction business, when working with Solid Builders you receive the benefit of working directly with the owner and General Contractor throughout the entire project. His first class customer service and quality control on the job site results in a superior product and a much smoother process for our customers. 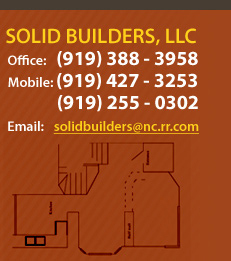 As our testimonials will attest, Solid Builders is a great kitchen renovation contractor in Cary, NC. Contact us today to see how we can work together to make your dream kitchen become a reality.  Thank you so much for the job well done with our house. Everything looks great. Thank you also for doing the shed on last minute notice.